The Colmore Cup Trial has been running for over a 100 years now. Originally both motorcycles and cars used to compete in the event. The two classes were eventually separated into different events: the Colmore Cup for motorcycles and the Colmore Trophy for cars. 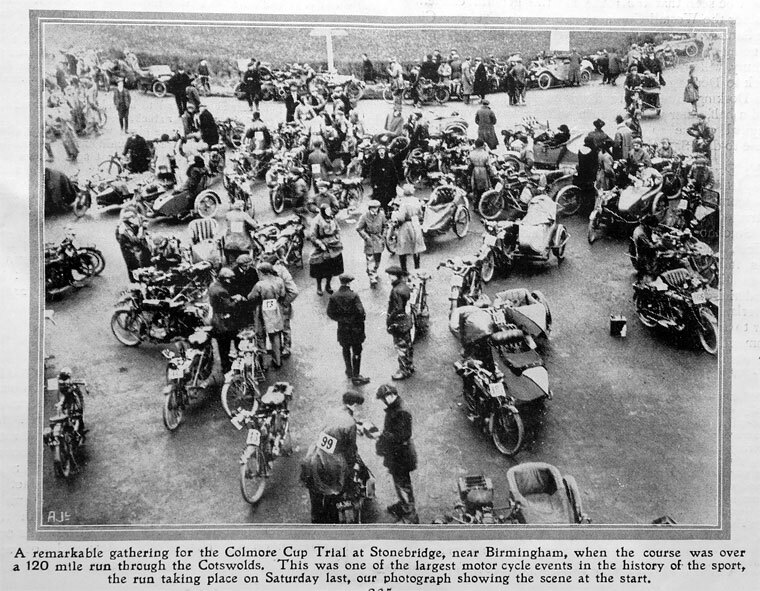 There is a nice photo of the Colmore Cup trial in 1914 [here] on the [Grace’s Guide] website showing motorcycles, combinations and light cars. The Colmore Cup event for motorcycles is still running strong today, though the Trophy event for cars is no more. 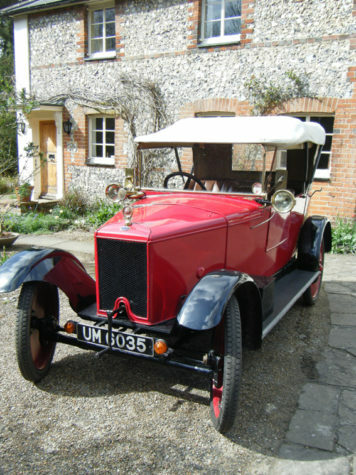 At this year’s event we hope to have a special visitor from the past – a Stoneleigh Chummy light car. It is one of only 3 known examples in the world and the only one in running condition. The car is owned by Neil Cooke (or more specifically his father) and with luck will make the 23 mile journey from his home to the start of the event at the College Arms in Lower Quinton. 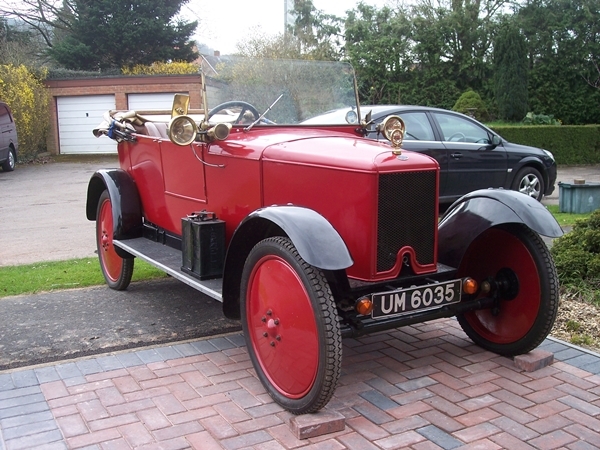 Originally manufactured in 1924, it is probably the last one off the production line and yet is still almost as old as the Colmore event itself. 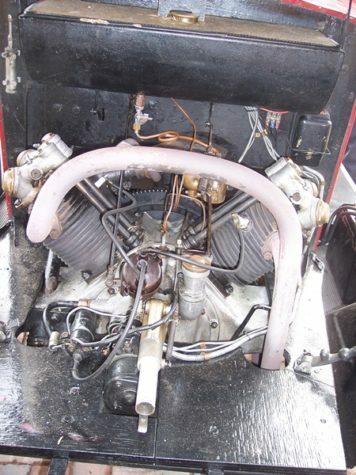 The engine on this vehicle is a radial twin built in the Gloucester factory – hence its resemblance to a radial aircraft engine. The engine produces only a notional 9hp from its 1010cc, and has 3 forward gears plus reverse. The clutch is made from cloth(!) and the final drive is by shaft and worm gear to a live axle. Braking is on the rear – the right wheel brake operate by foot and the left wheel by the hand brake. It makes you think how much vehicles have changed over the last century. These types of vehicle took part in the Colmore Cup event years ago driven by their enthusiastic owners. There are a couple of good photos [here] for example on the Austin Harris [website] showing a Chummy leading a BSA up Bushcombe Hill. The club looks forward to seeing Neil and his Chummy at the start of the [Colmore Cup 2018] at the College Arms in Lower Quinton on March 11th 2018.